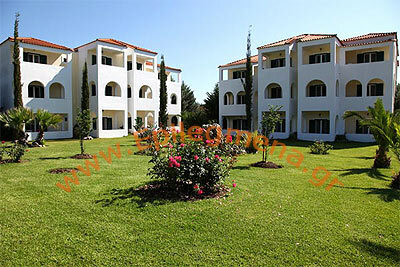 PROPERTY DESCRIPTION: LEFKADA. 4* Hotel, new, luxurious, totaling 3.500m2. Allocates 45 luxurious rooms and 5 suites, congress centre for 250 people, restaurants, one big swimming-pool and 2 for children, 2 Jacuzzis , spacious parking and other auxiliary areas. 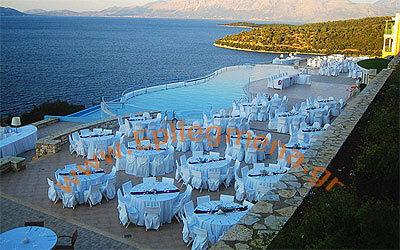 Built in 11.000m2 in a breathtaking environment, in front of the sea, has immense view to the sea and green mountains. In short distance are found amazing beaches, Yachts_ Marina, picturesque village with taverns, restaurants, shops. 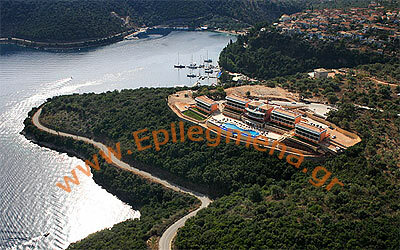 It is a base for excursions in the small and big islands of Ionian Archipelago. Airport for international charters in 40 kilometers distance. PROPERTY DESCRIPTION: WATER FRONT hotel, 3 *+ (3 stars plus), built in 20.000m2 in a very green environment, in front of a beautiful sandy beach, in an area close to many taverns, bars, shops. The whole has 72 rooms and 170 beds in 13 blocks, part of which new and part older (1988). 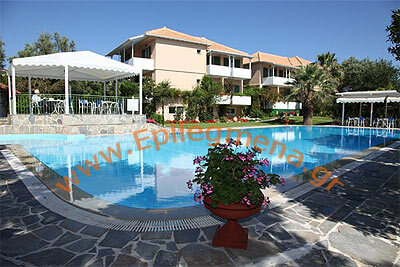 Provides a big swimming-pool, restaurant, gym and comfortably, well equipped rooms. Only 20 kilometers from an international charters_ airport. Additional block may be constructed. Just off the coast of central Greece and once attached, Lefkada is the fourth largest of the Ionian islands. It has a land mass of 303 sq.km and a coastline of 117 km. Its population is 21,000. It is attached to the mainland by a causeway. This island you can drive to! Lefkada has everything from mountain villages to beach resorts. Many migratory birds flock to Lefkada's salty marshes. The causeway surrounds a shallow lagoon where you may see herons and pelicans. An occasional shark has been seen far out by wind surfers but no incidents have occurred. More Dolphin varieties are seen off Lefkadas coast than anywhere else in Greece. The several interior villages are traditional and the women are famous for their lace and embroidery. Windsurfing is particularly good and sailing through its ten surrounding islets is idyllic. One of these, Scorpios, was owned by Aristotle Onassis–that should tell you something! Lefkada Town is very near the mainland and the causeway. It has a wonderful view of ruins of Santa Mavra fortress on the mainland opposite. The whole town collapsed in an earthquake in 1948 and was hard hit again in 1953 and 1971. The rebuilt town is unusual in Greece. The bottom floors of houses are stone, but upper floors are wood or corrugated metal intended to hold up when the ground starts moving. In Lefkada Town's main square is the Phonograph Museum with its collection of records and phonographs and old gramophones. There's also a small Folk Museum. Above the town is Moni Faneromenis. There's a festival at this monastery 50 days after Easter. Busts of Lefkada's three great contributors to letters are in Bosketo Park near the end of the causeway. South of town is the island's oldest monastery, Paagia Odhigytria. It is the only monastery on the island to have withstood all the earthquakes, hence its claim to being the oldest. The island's west coast is rocky and rough but has stunning stretches of sand. The road down the west coast avoids the shore until Tsoukalades, where you can find a rocky path down to the coast. Agios Nikitas is a small resort with a harbor and a beach. Further south is the mountain village of Kalamitsi. Kalamitsi has waves, and a sandy beach below it. Far to the south is the windsurfer's paradise, Vasiliki (or Vassiliki). It gets crowded in August, even though it isn't on the package tour routes yet. Windsurfers whiz around the bay. The port is lined with shops and cafes. The breeze is usually gentle enough for beginners in the morning, with strong winds cherished by experts blowing in the afternoons. Of course, after dark there is a lively nightlife scene. The main town on the east coast is Nydri (or Nidri). There are splendid views of the offshore islands from Nydri. Nydri has a commercial feel and gets busy in summer. There are tavernas very near the shore and it's a nice spot to sit a twilight. From Nydri, hike 45 minutes to the hamlet of Rahi to see a wonderful waterfall at the end of the Dimosari gorge. There's a pool at the bottom. The inland villages are the place to shop for lace. These traditional farming village still have women working at looms. Karya is at the center of the island's lace and embriodery industry. You can often buy directly from the artisen herself. There's a museum dedicated to the most famous embroiderer of them all in Karya, Museum of Maria Koutsochero. The highest village on Lefkada is Englouvi, another good shopping place for lace and embroidery. Englouvi is also proud of its lentils, often the base of many prize winning recipes. Meganisi is a rural island with a port at Vathy. There are chapels on each side of the port and several tavernas. It's believed to be the island of Taphos mentioned in the Odyssey . The people there still engage in traditional pursuits like seafaring, embroidery making and lace making. Excursion boats from Nydri go the Papanikolaos Grotto. This large grotto is named after a Greek resistance submariner who used to dart out of it to attack Italian ships. As mentioned above, sailing through the enchanting isles off Nydri is very popular. These wooded islets are privately owned. The islets include Sparti, Mandouri, Skorpidi, Skorpios and to the south of Maganisi, Arkoudi. There are good places to eat in most of the towns and villages on the island. Be sure to try the lentils. Turbulance has marked Lefkada's history. It was in the domain of the Corinthians from 640 BC until the British left in 1864. There have been repeated earthquakes, with the one in 1953 being especially destructive. The island was named for the whiteness of its cliffs. Leukos means white. The island is more inviting further down its east coast where there are deeper waters, long sandy beaches and where most tourist facilities are. The west coast on the other hand, is almost un-exploited and also has wonderful beaches. This is an excellent island to explore with a scooter. By Air: From Athens, one can fly to Aktion, 26 km away on the mainland. 35 minutes on the bus will get you to Lefkada. By Car: From Sterea Ellada you can drive on the causeway. By Bus: Buses leave from Athens and take about 6 hours. From Patras 4 to 5 buses leave each day. By Ferry: Very few in winter. In summer Cephallonia and Ithaki are connected.